Today, marks the beginning of National Breast Cancer Awareness Month (NBCAM.) As noted on the NBCAM website, there have been great strides in both breast cancer awareness and treatment over the last twenty-five years. But as anyone that is or knows a breast cancer survivor can attest (full disclosure: I would fall into that latter category) there is far more work that still needs to be done. As noted by the NBCAM, making strides in breast cancer awareness is nearly as important as making strides in treatment options. While it wouldn’t be within the scope of WaterFilters.NET to develop treatments, we can certainly do our part to boost awareness in areas where we specialize – specifically – in the area of clean drinking water. We’ve talked a lot recently about how best to reduce exposure to contaminants in your water, whether we are discussing drinking water, shower water or well water. Ensuring clean water pours from every one of your home’s faucets is highly important to most of us, but can be critical for breast cancer patients or survivors. Well water poses perhaps the biggest concern for those with more sensitive immune systems, as most private water supplies are not subject to the sanitation and regulation imposed by municipalities. 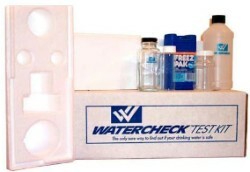 On our site, we do offer several lab quality water test kits, like the one shown above, that can help identify contaminants in your water that may be dangerous for those with greater sensitivity. While we would strongly recommend that anyone dependent on well water test at least once or twice a year, we would absolutely insist on this if you are or are living with a breast cancer survivor. We would also insist on the extra step of consulting with your doctor, pre- or post water testing, to get a better idea of how exposure to different contaminants found commonly in your area’s drinking water may impact you. When you select a water filter or water filtration system, pay close attention to the types of contaminants it will help reduce – particularly E. Coli, pharmaceuticals and Cryptosporidium. As reported to BreastCancer.org, some faucet filters and water filter pitchers, by Brita and PUR respectively, will help to reduce some of these contaminants. 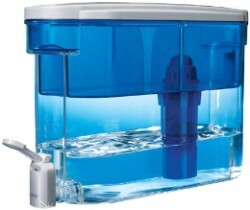 The PUR water filter dispenser below is just one of the models we offer that indicates that it will filter Cryptosporidium. It should be noted, however, that water filters are tested hyper-consistently to ensure consumers get the best information regarding what they buy. A side effect is that the claims and capabilities of water filters will be ever-changing. We try to update product information as frequently as we can, but I would suggest connecting with our customer service department at 1-888-801-PURE (7873) to get the most up to date information if your filter will be pouring water for more sensitive consumers. 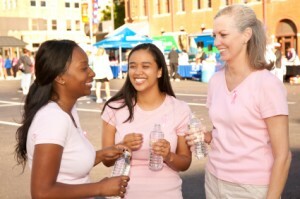 You may also consider a reverse osmosis system, as recommended by BreastCancer.org, if your drinking water has been shown to have more frequent quality issues. 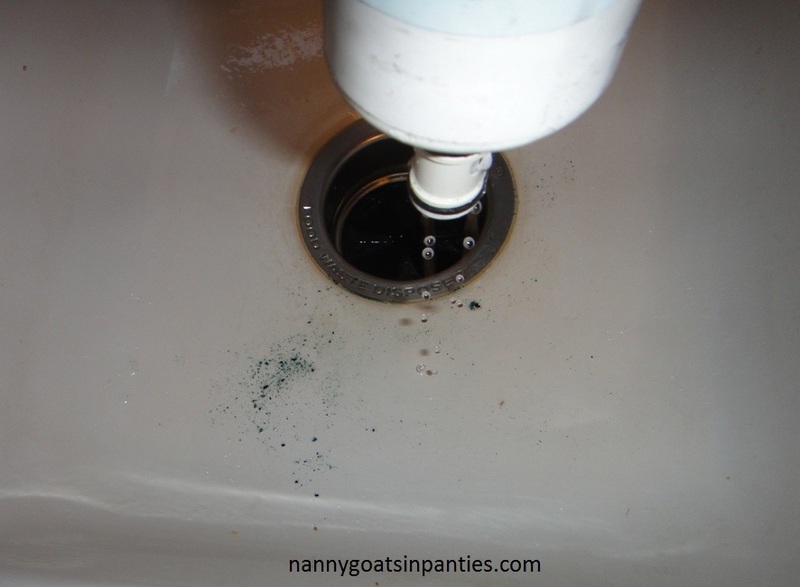 A final consideration I would suggest would be to look into a shower filter. As shower water is not customarily consumed as drinking water, most benefits of these products focus on the impact of water contaminants in your hair or on your skin. 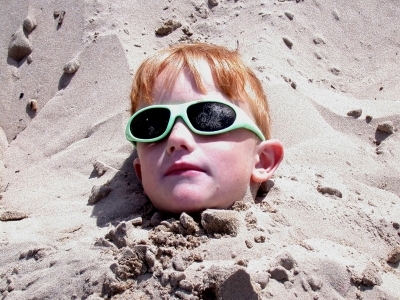 But fundamentally, your skin is your largest organ. Between what your skin soaks up, and the water vapors inhaled during a shower, there is risk of exposure to waterborne contaminants that can be easily reduced with an affordable shower filtration system, like the one to the left. As we move through National Breast Cancer Awareness Month, we also hope to do our part in building awareness for consistent and low cost screening. Linked to from the NBCAM website is this CDC page, which will help you find screening locations in your area. The NBCAM website itself also links off to several other helpful collaborating organizations, including the American Cancer Society and the Prevent Cancer Foundation. If you ever have a question regarding what water filters or filtration system you need, based on specific contaminants you’ve been instructed to reduce your exposure to, I encourage you to give our customer service team a call at 1-888-801-7873 so they can help find the right system for your needs. I would also encourage you to take the opportunity to donate, if you are able, to breast cancer related research and treatment through either the BreastCancer.org website or another organization of your choice.